Trace minerals have been shown to have an essential role in reproduction. Photo courtesy of Troy Walz. This article is a summary of the 2018 Nebraska Beef Cattle Report “Effect of Injectable Trace Mineral on Reproductive Performance in Beef Heifers”. Shelby A. Springman, John G. Maddux, Mary E. Drewnoski and Rick N. Funston were collaborators on this research study and report. The report is summarized by Aaron Berger, Nebraska Extension Beef Educator. Many producers provide a free-choice trace mineral to grazing cattle throughout the year. Trace minerals have been shown to have an essential role in reproduction. When a free-choice trace mineral supplement is provided, some individual animals will consume more than the recommended amount, while others may consume none at all. In addition to variation in intake, the absorption of trace minerals can be negatively impacted by the consumption of other nutrients during the digestive process. 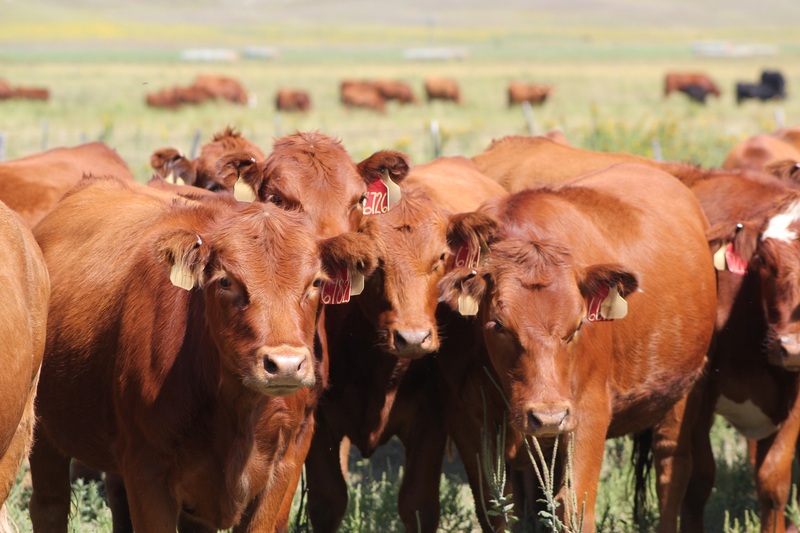 Providing an injectable trace mineral (ITM) with a free-choice trace mineral prior to the breeding season may be beneficial to ensure that the trace mineral status of cattle being bred is adequate. A study was conducted to analyze the impact of providing an injectable trace mineral supplement in addition to a free-choice trace mineral supplement on the reproductive performance of replacement heifers. Prior to the study, a liver biopsy was conducted on 22 heifers in the study to assess trace mineral status. Liver concentrations of copper, manganese, selenium and zinc were adequate in the heifers tested. There were 799 heifers in this study that were split into two groups. One group of 399 heifers received an injection of a trace-mineral at the time of insertion of progesterone releasing controlled internal drug-releasing device (CIDR) which was 33 days prior to a timed artificial insemination (AI). The second group consisted of 400 heifers that were administered the same estrus synchronization protocol, but did not receive an injection of trace-minerals at the time of CIDR insertion. After timed AI on day 33, both groups of heifers were exposed to bulls for 60 days. At pregnancy diagnosis, there was no statistical difference in the percentage of heifers breeding in the first 21 days of the breeding season as well as the first 33 days of the breeding season. Overall pregnancy rates were similar with 95% of the control and 93% of the heifers receiving an injectable trace mineral being identified as pregnant. In this study, the use of an injectable trace mineral at CIDR insertion prior to breeding did not influence reproductive performance of heifers with adequate trace mineral status. For more information on this study, see the 2018 Nebraska Beef Cattle report.